Last month I took a quick trip to Philadelphia. 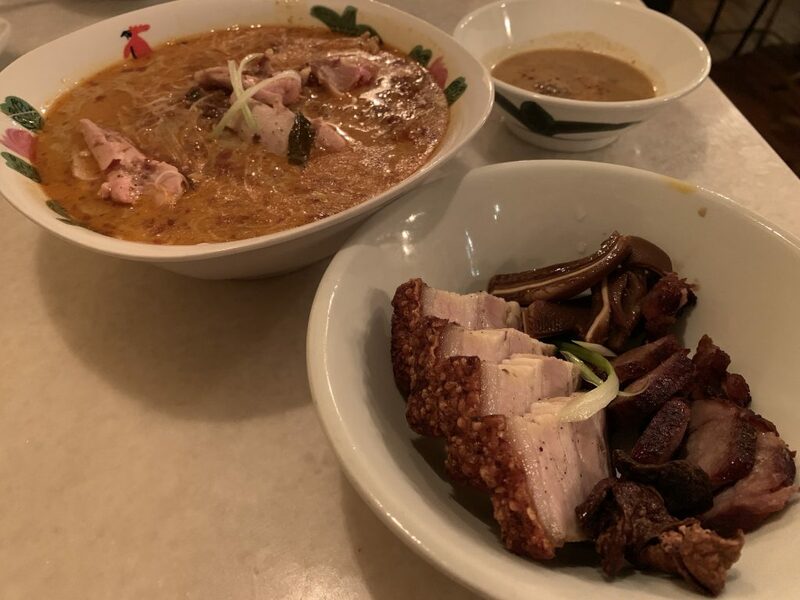 In addition to going back to Michael Solomonov’s restaurant Zahav, I looked forward to eating Malaysian food at Saté Kampar. 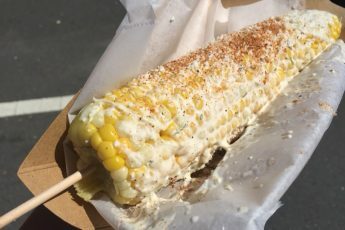 Saté Kampar wasn’t even on the list to go until I noticed some well known Bay Area food people that I admire and follow on Instagram who had an excellence meal there. 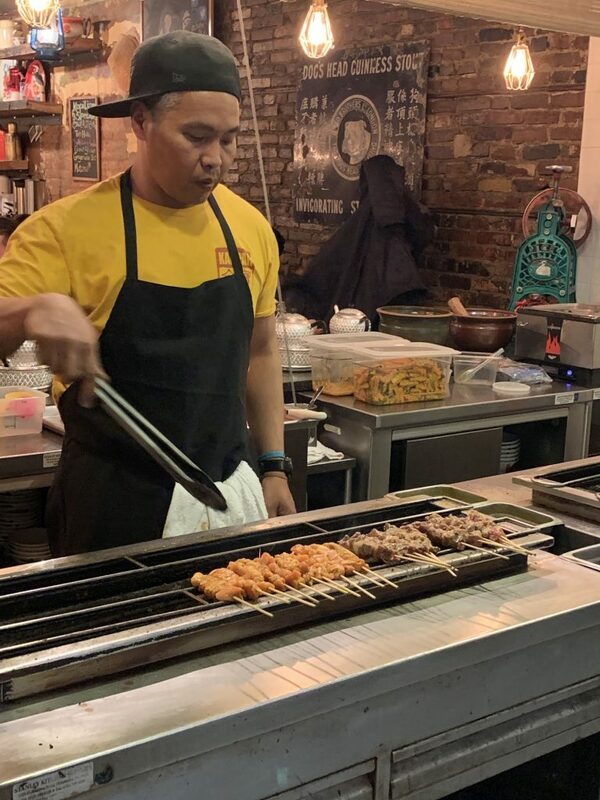 As their name implies, Saté Kampar is recognized for their saté, or meat skewers which they grill on coconut charcoal. 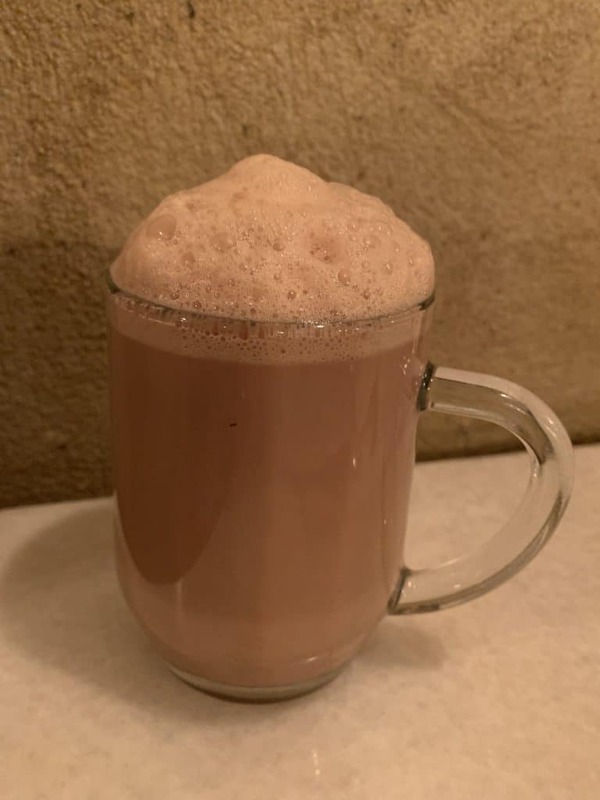 I am a big fan of Hong Kong milk tea and was intrigued by the Malaysian version called teh tarik. The key ingredients are strong black tea and condensed milk. Some versions include evaporated milk and sugar. My cup of tea felt very warm and personalized. I also enjoyed the frothiness on the top. My colleague and I started with a couple of appetizers. 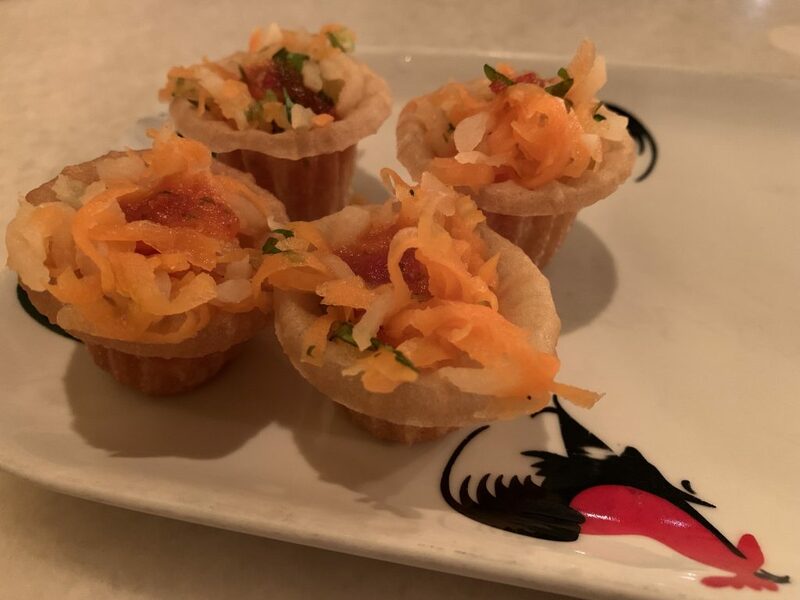 The first were the pie tee which are light deep fried pastry shells filled with loads of goodness and topped with fresh jicama and carrots. 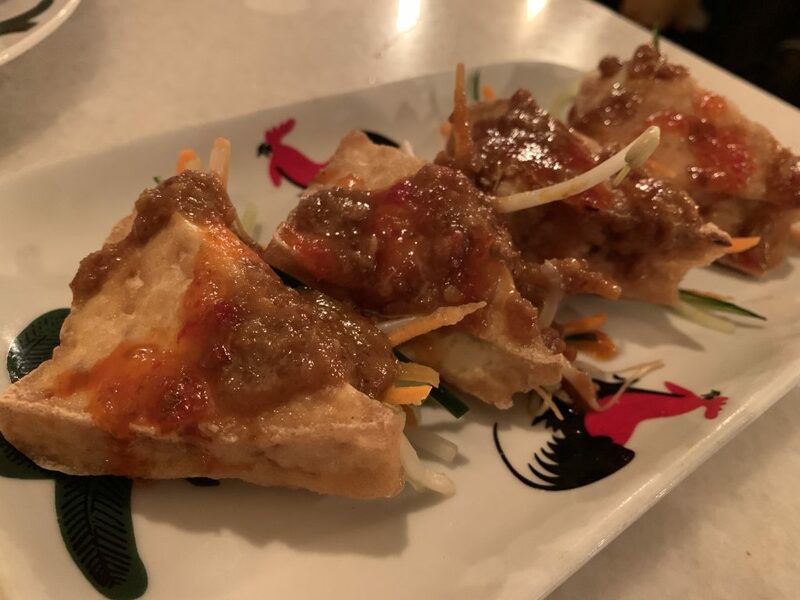 We also enjoyed the tauhu sumbat which were crisped tofu with bean sprouts and julienned vegetables topped with peanut and garlic-chili sauce. Saté Kampar was promoting a new laksa special every two weeks. While we were there, it was a curry laksa. We ordered it with the addition of pork parts. My expectations were high and I felt like the laksa bowl fell flat. The flavor was a bit dull and I did not like the texture of the thin noodles in the thick broth. The side of pork included crispy pork belly, as well as pig ears and intestines and was definitely an interesting experience. The reason we came here was for the saté. 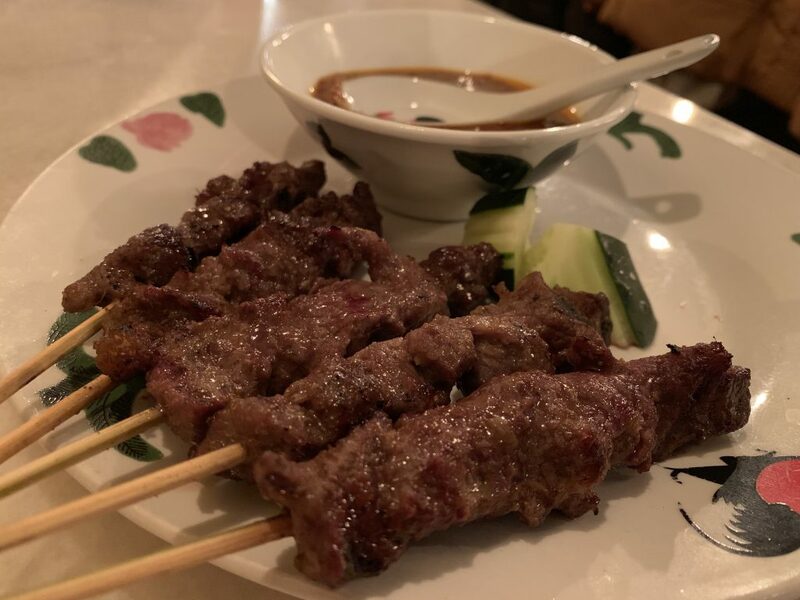 We ordered the beef skewers are they are worthy of praise. 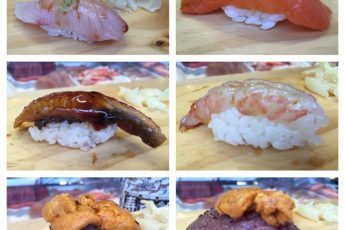 The flavor and textures were perfect and nothing I have ever come across. 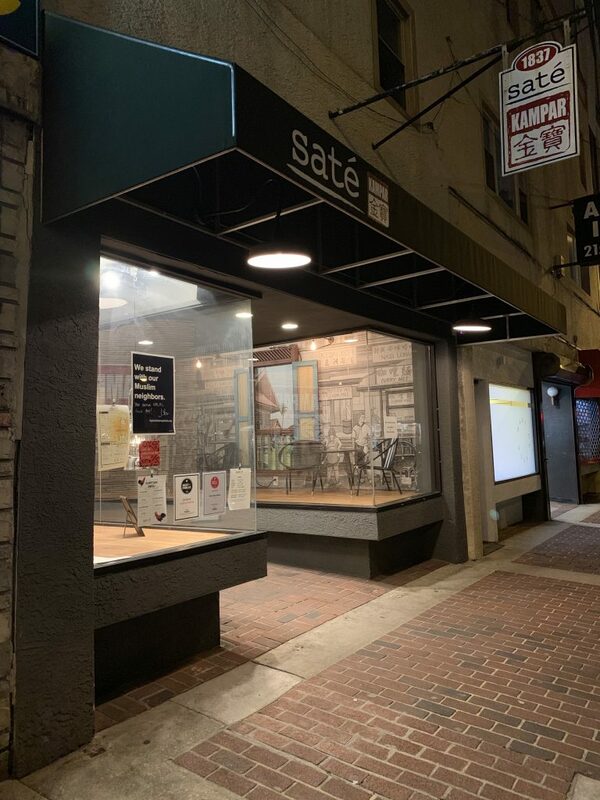 I wish I had room to order more saté. The saté alone made me dream of a trip to Malaysia and Singapore. 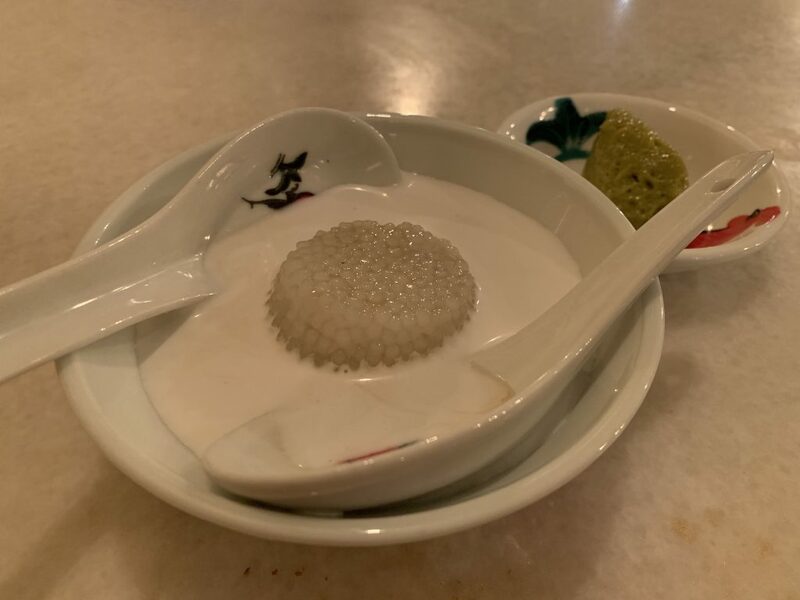 For dessert, our waiter suggested the sago gula melaka, which were tiny tapioca pearls shaped into a cup with coconut cream and palm sugar syrup. He also gave us a spoonful of Kaya butter which I indulged in. These sweet bites were the perfect ending to an amazing meal at Saté Kampar which was a great ending to my trip to Philadelphia.